Beauty Balm Cream - La Mav's bestseller! Certified Organic BB Creme - All-in-one foundation, moisturiser and UV protection. - I was an NC42 (golden tan), the Medium fit my skin tone which was a happy surprise. - Its better coverage than other BB creams I've tried - more like a medium coverage foundation but very light-feeling on the skin. - I've been able to build up to full coverage, but on my skin there is a limit before it does start looking cakey. - I love the finish - it sets in a nice semi matte finish but doesn't look dry or cakey, in fact it looks like it brightens (not lightens) my skin as if it's got an illuminating factor to it. - It lasts a good 10-12 hours on me. I just touch up with the mineral foundation in Dark. La Mav Certified Organic BB Crème is the ultimate multi-tasker and must have product for your makeup bag. Not only the perfect colour balancing makeup base, La Mav Organic BB Crème also provides an anti-ageing remedy and natural protection from the sun all whilst leaving your skin feeling smooth, radiant and hydrated. Reduce your daily makeup routine down to one highly effective product that is easy to apply and very affordable. 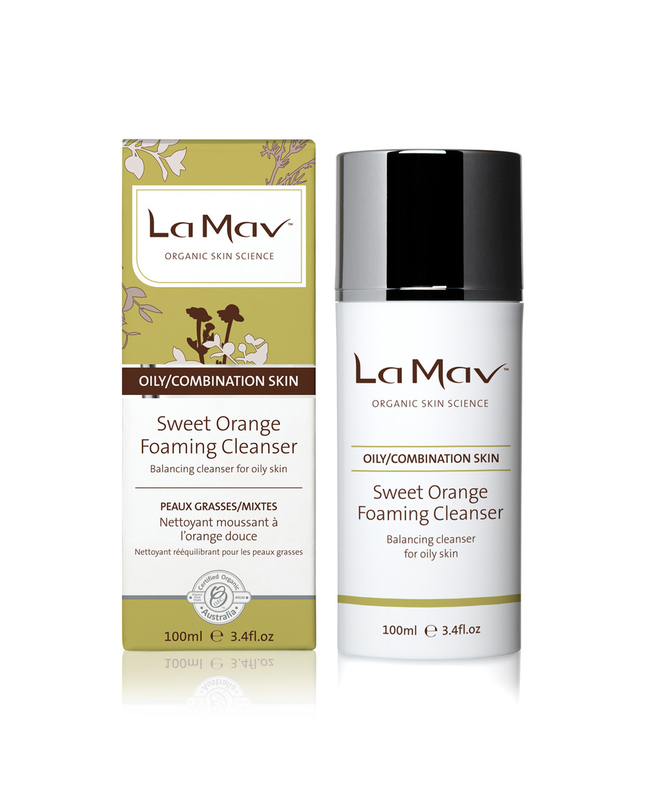 La Mav BB Crème is perfect for those with hypersensitive skin, or conditions such as Rosacea, Eczema and Acne. Infused with Vitamin C and Rosehip Oil La Mav Organic BB Crème treats the skin’s impurities whilst also providing anti-ageing benefits and nourishment for long lasting results. Apply La Mav Organic BB Crème daily on top of your La Mav moisturizer for a noticeably flawless and radiant complexion. Use it alone, or for best results, combine it with our Anti-Ageing Mineral Foundation with SPF15 and our Mattifying Powder. 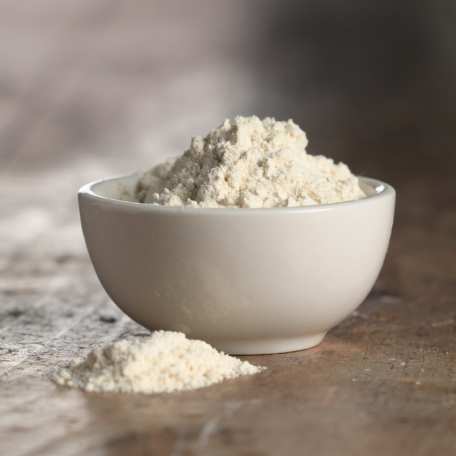 Tip: Mix with your daily moisturiser for a lighter tint if desired! • Anyone experiencing dark eye circles, puffiness or fine lines and wrinkles. • Australia’s first, certified organic BB Crème. • Ultra efficient makeup base with colour correction, hydration and protection. • Treats skin imperfections with Vitamin C & Rosehip Oil. • Approximately SPF 11 (not certified). • Colour balancing for an even tone, smoothing skin for a radiant finish. • Apply a small amount to clean skin. • Blend gently with fingertips for even coverage. Suitable for all skin tones and types. • Mix with your La Mav moisturiser if a lighter shade is preferred. 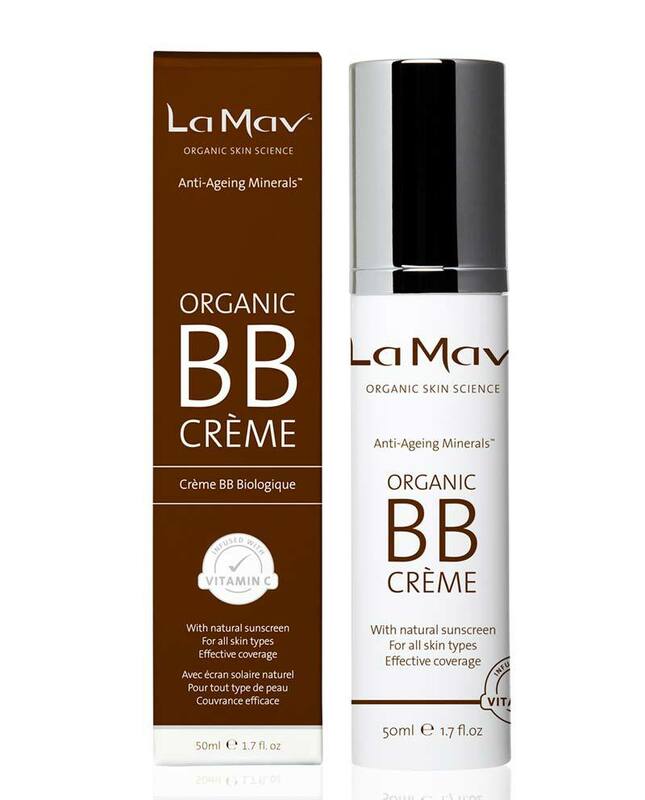 Certified Organic BB Creme - Beauty Balm with Vitamin C (50ml) by La Mav - Anti-Ageing. 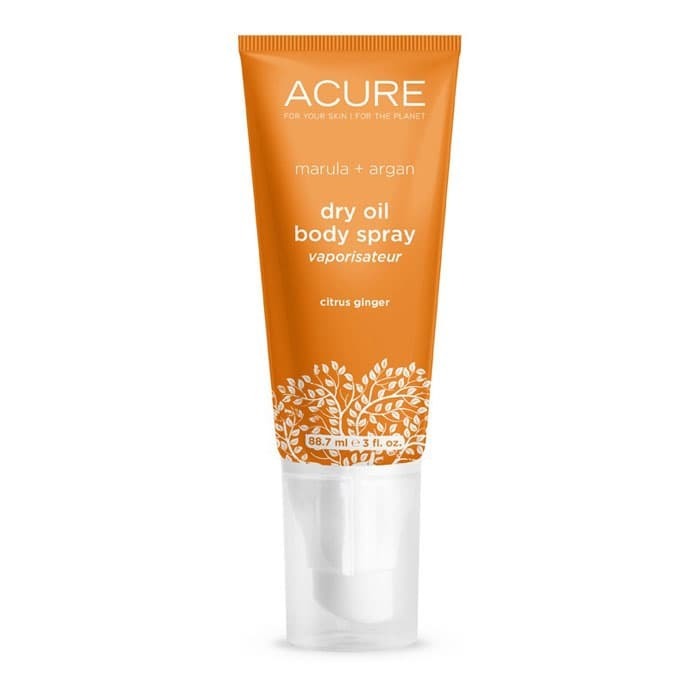 Ingredients: *Aloe Barbadensis (Aloe Vera) Leaf Juice, Titanium Dioxide, *Prunus Amygdalus Dulcis (Sweet Almond) Oil, *Simmondsia Chinensis (Jojoba) Seed Oil, *Persea Gratissima (Avocado) Oil, *Glycerin, Cetearyl Alcohol, Glyceryl Stearate Citrate, Cetearyl Olivate, Sorbitan Olivate, Iron Oxides (CI77492), Tocopherol, Cetearyl Glucoside, Glyceryl Caprylate, Iron Oxides (CI77491), Mica, Iron Oxides (CI77499), Sodium Anisate, *Vanilla Planifolia Fruit Extract, Glycine Soja (Soybean) Oil, *Rosa Eglentaria (Rosehip) Seed Oil, Sodium Hyaluronate, Hippophae Rhamnoides Seed Oil, Alcohol, Ubiquinone, Ascorbic Acid, Aqua, Cucumis Sativus [Cucumber] Fruit Extract, Malpighia Glabra [Acerola] Fruit Extract, Tin Oxide, Terminalia Ferdinandiana (Kakadu Plum) Fruit Extract, Glycyrrhiza Glabra (Licorice) Root Extract, *Rosmarinus Officinalis (Rosemary) Leaf Extract. 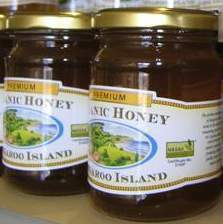 Store: In its original container in a cool, dry, dark cupboard away from direct sunlight. 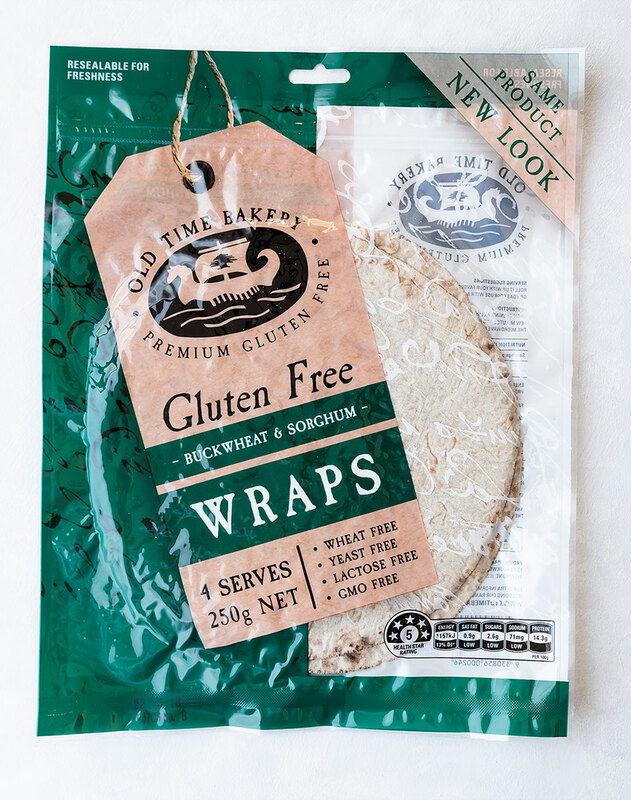 Certification: OFC, Vegan, Not Tested on Animals, Australian Certified Toxic Free, Australian Made. Natural and organic cosmetics are becoming incredibly popular as woman everywhere decide to avoid harmful synthetic chemicals that are linked to cancer, hormonal issues, and weight gain. The La Mav Mineral Makeup Range offers a chemical free, certified organic, and certified cruelty free option suitable for all skin types and conditions. Our Mineral Makeup Range is infused with Vitamin C and Rosehip oil, treating the skin and providing proven antioxidant and anti-ageing benefits.